Thomas Loraine McKenney. 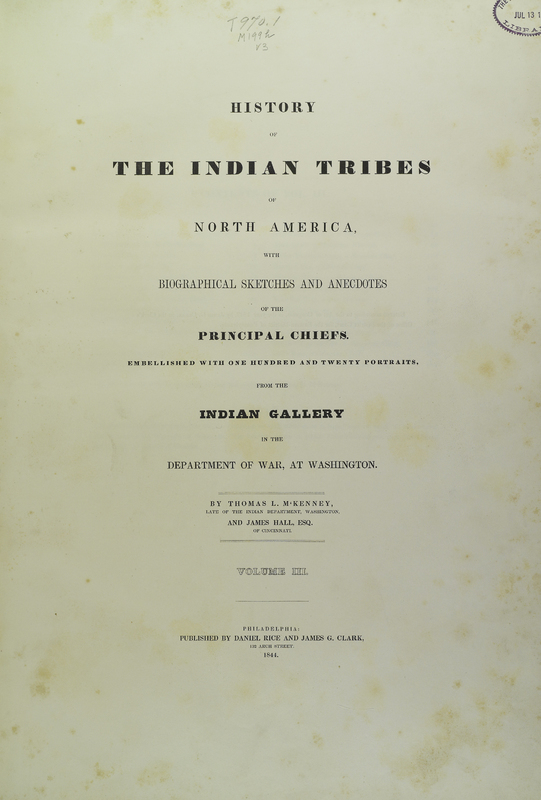 History of the Indian Tribes of North America, with Biographical Sketches and Anecdotes of the Principal Chiefs. Embellished with One Hundred and Twenty Portraits, from the Indian Gallery in the Department of War, at Washington. Philadelphia: F. W. Greenough, 1838. Thomas McKenney (1785-1859), the U.S. 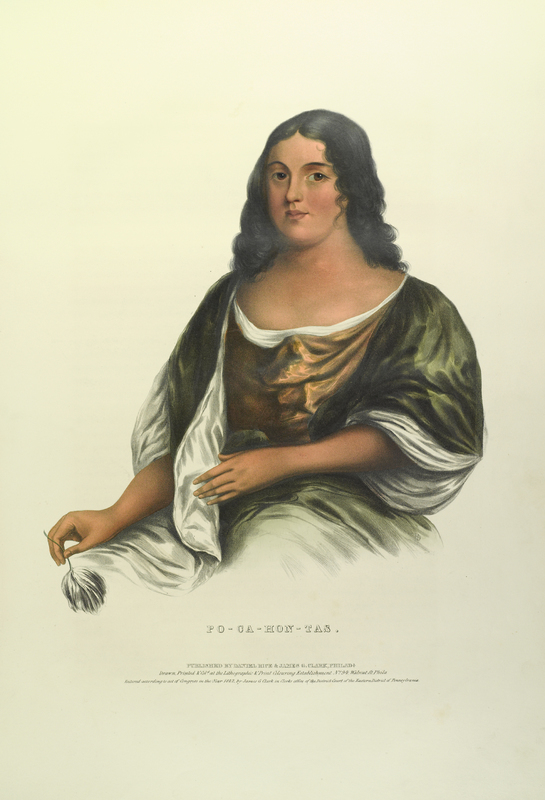 Superintendent of Indian Trade, commissioned portraits of American Indian delegates who were in Washington, D.C. to negotiate treaties with the federal government. 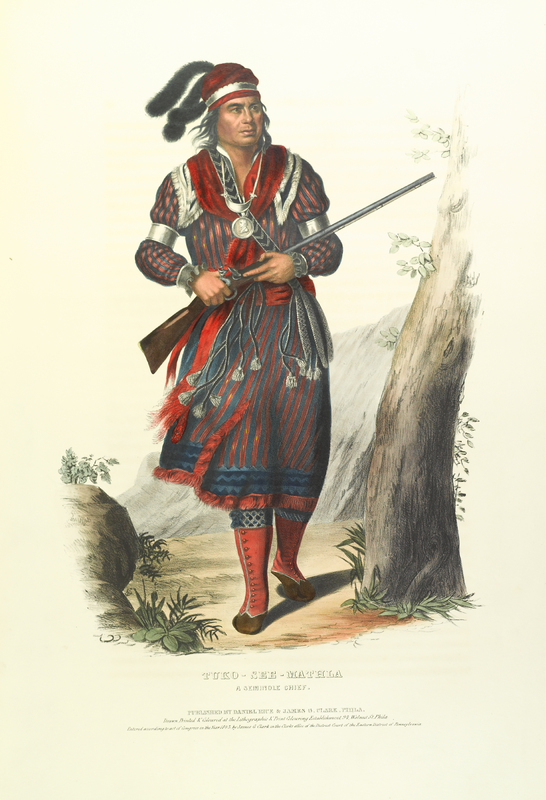 The artist, Charles Bird King, painted portraits of American Indians between 1821 and 1837, featuring detailed garments. McKenney commissioned lithographs of the paintings to be published in three volumes, with every portrait complemented by a biographical essay written by James Hall (1793-1868). Research continued for eight years, during which time the project transitioned from McKenney to Hall. The final installment was delivered to its 1,250 subscribers in 1844. In the winter of 1865, a devastating fire at the Smithsonian destroyed 295 of the original Indian portraits. Only five were saved. The rest would have been lost if McKenney and Hall hadn’t ensured their publication.